Suit Up! Strap in! Take to the skies… in your Balloon Chair of Death! Balloon Chair Death Match is a unique multiplayer VR game, featuring challenging, competitive aerial combat above a beautiful, immersive city environment. 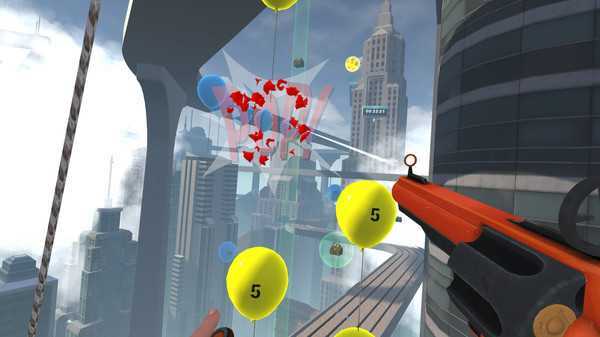 Imagine yourself sitting in a desk-fan driven chair held up by several balloons. You navigate the airspace above a city using the joystick attached to one of the arm rests. 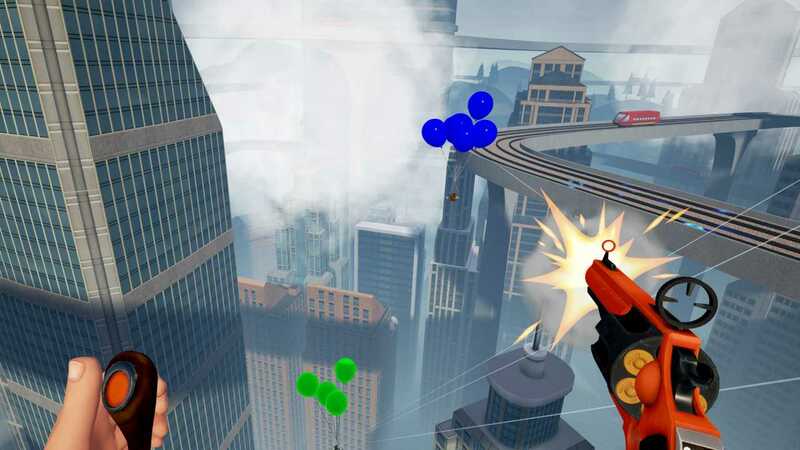 Virtual Reality wizardry means you feel like you're right there, in that chair, bobbing along past the tips of skyscrapers, looking down at the tiny cars going about their business hundreds of feet below you. It all sounds rather lovely and serene until you add other people with similar chairs, large guns and wicked intentions. 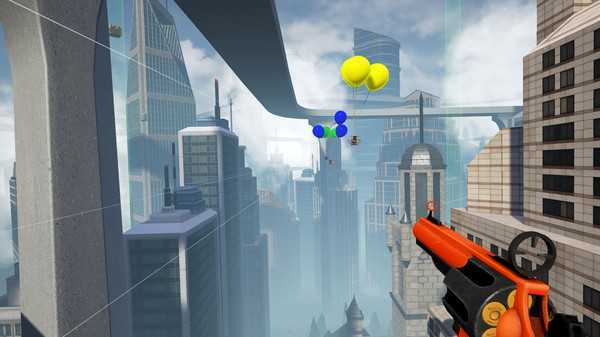 In the game you will find yourself pitted against several other Balloon Chair pilots, earn points for shooting out their balloons and for sending them plummeting to the ground. The more balloons you inflate the higher you go. 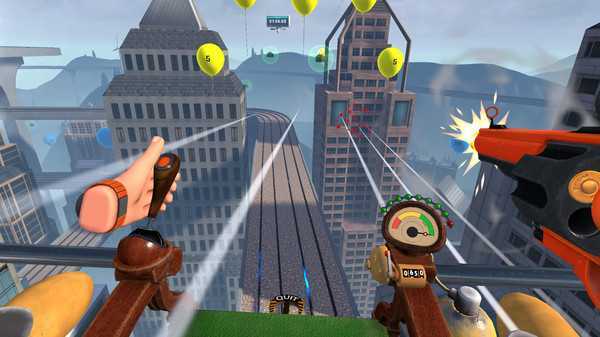 To keep yourself going you'll need to fly around the city to collect gas and bullets, so you can teach the other pilots a thing or two. There's quite a lot of gleeful carnage and frivolous high speed impacts with the pavement. Oh, and don't play chicken with the trains on the high-rise monorail which runs round the city, you'll lose.